As soon as you pull up to the entry of the Viceroy Riviera Maya, you are absorbed into the jungle and you know you are entering a magical place. 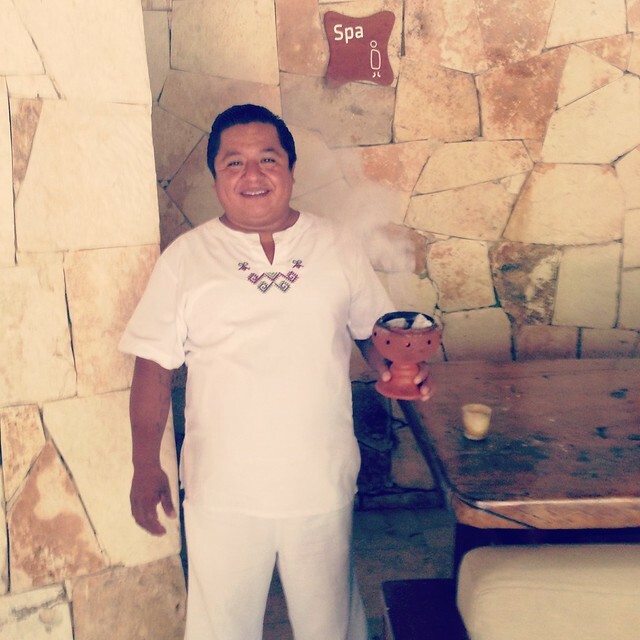 Your immersion into this new world is punctuated by a welcome ceremony from a Mayan Shaman. As you close your eyes to accept his blessing and breathe in the aroma of the incense, you know you have arrived. Now, you are on vacation! 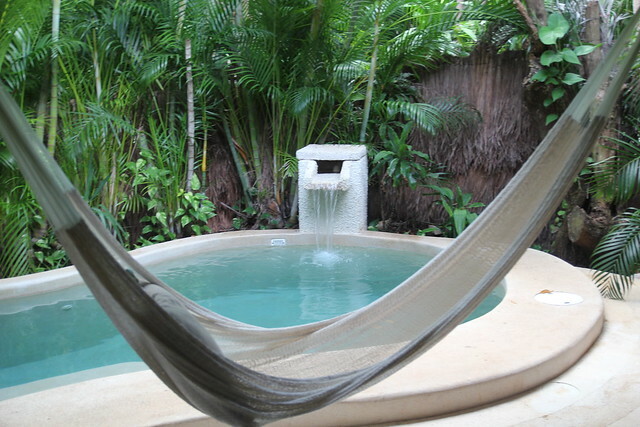 The Viceroy Riviera Maya has quickly become my favorite 5-star hotel option in Riviera Maya. It is intimate and genuine and I found the food and service to be top-notch. The decor of the rooms and the public spaces does a great job of combining modern contemporary design with traditional Mayan elements. I stayed in a Premium Villa with 1,700 sq. ft. of space which includes an impressive bathroom with indoor and outdoor showers and an outdoor living room with lounge furniture and a heated plunge pool. 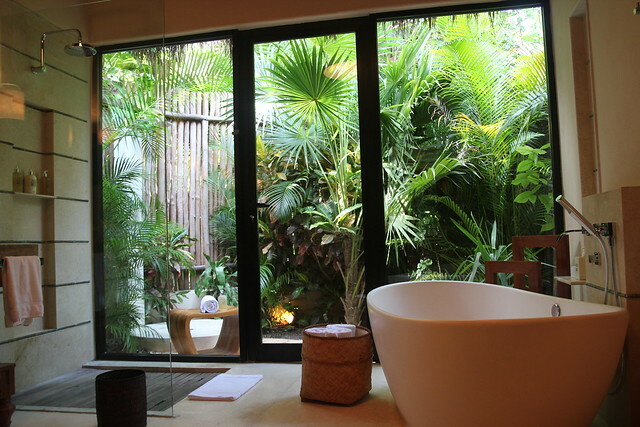 At the Viceroy Riviera Maya, all accommodations are stand-alone villas and they all feature outdoor showers and private plunge pools regardless of the villa category. I prefer the signature or premium categories for their extreme privacy surrounded by lush vegetation; these villas are perfect for a romantic getaway or for anyone looking for ultimate seclusion. The ocean view and beachfront villas lack privacy because in order to get those amazing ocean views, the villas are also exposed to public walkways. The food and beverage manager has invested much time and energy into developing unique and locally inspired menu items and dining experiences including a taco night inspired by typical street food, an excellent wine list featuring Mexican wines, a beach BBQ with communal-style dining, a lawn picnic featuring paella with a Mayan twist, artisanal cocktail-making classes, and a special chef’s table with an expertly curated menu. 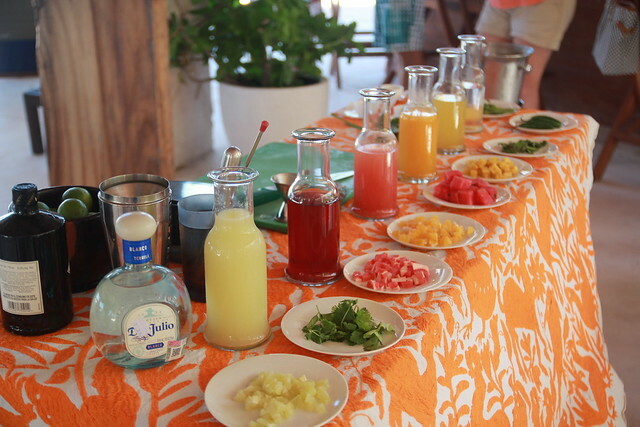 At the Viceroy Riviera Maya you will never go hungry and you will never get bored! You may, however, develop a mild addiction to the most delicious tamarind margaritas! After all of this amazing dining, the morning yoga sessions by the beach are most welcome! 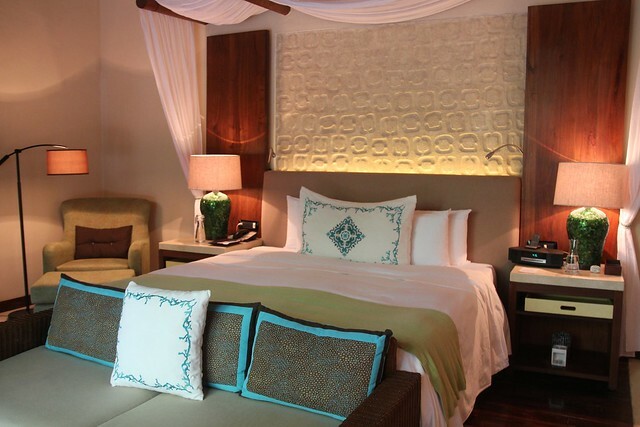 And, when you’re done enjoying the beautiful resort facilities, you can escape to your private suite surrounded with a lush tropical jungle and while away the hours in your own heated plunge pool. This entry was posted in Beaches, Hotel Reviews, Mexico and tagged Hotel, hotel review, Latin America, Mexico, romantic destination, Virtuoso. Bookmark the permalink.